Amacher was an American composer, performer and multi-media installation artist known internationally for her dramatic architectural staging of music and sound. She worked extensively with the physiological phenomenon called ‘otoacoustic emission’, in which the ears themselves act as aurally active generating devices. Amacher musically trained in Philadelphia, Austria and England. From 1962 to 1964 she studied with George Rochberg and Karlheinz Stockhausen at the University of Pennsylvania, where she graduated with a bachelor's degree. She moved on to study in acoustics and computer science at the University of Illinois at Urbana-Champaign. In 1967 she created the piece City Links: Buffalo, a 28-hour piece, which was made with five microphones in situated in different parts of the city and broadcast live by radio station WBFO. Amacher was also a member of the improvisation ensemble Musica Elettronica Viva. 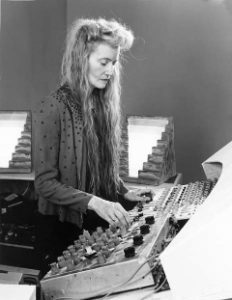 She worked with a wide range of artists including David Behrman, Scott Fisher, Mark Trayle, Frederic Rzewski and Alvin Curran, and was active as a composer-performer in the field of sound installation with Ars Acustica. In 1986, she was a guest of the DAAD Artists in Berlin and most recently, she taught at Bard College. In 2005 she was awarded the Prix Ars Electronica Golden Nica in the Digital Musics category for her project TEO! A sonic sculpture. 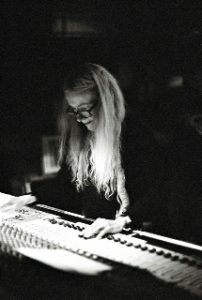 Unequivocally one the most magnificent musical mavericks of the 20th century, Maryanne Amacher leaves to our mortal listening world one of her more personal live-to-multi-channel disc performances comprising her rare departures from structure borne sound. After studying with Stockhausen and working with John Cage, Amacher took off on her own psychoacoustic flight path, developing work that was critically described as; "hallucinating swarms of biological air from every direction", "3D illusions of difference-tone ear dances where the sound seems to emanating from inside your own skull! ", "immense volumes that make the frequencies feel liquid -, all-enveloping buzzing rumbles wrapped in sandstorm textures". Through multiple residency periods with Recombinant Media Labs in 2000, Amacher designed a legendary 'airborne audio' "Plaything" mix, re-amplified from her hand in concert by Naut Humon and Edwin van der Heide. A 50-minute epic epiphany, chronicled by Amacher before her death, 'Plaything' is a prime example of RML's experiential archive of past lives that can still breathe and encircle us today.